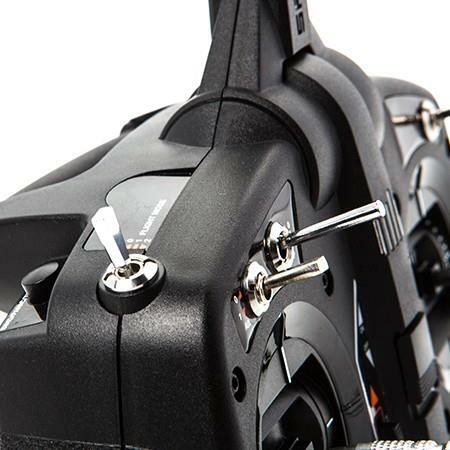 For advanced programming features such as stick configuration, wing type selection, expo on/off function, model setup import and many more, the Spektrum programming cable (SPMA3081-Mobile, SPMA3065- PC) is required. 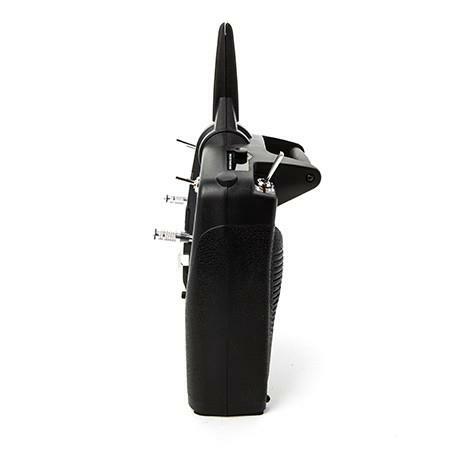 Basic programming features such as servo reversing and trim adjust can be used without the programming cable. Once saved to your PC or mobile device, you can upload the setup for a specific model to the DXe with a simple point and click. 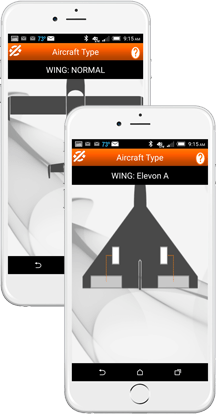 You can also use the interface to upload pre-programmed setups for Bind-N-Fly® aircraft. 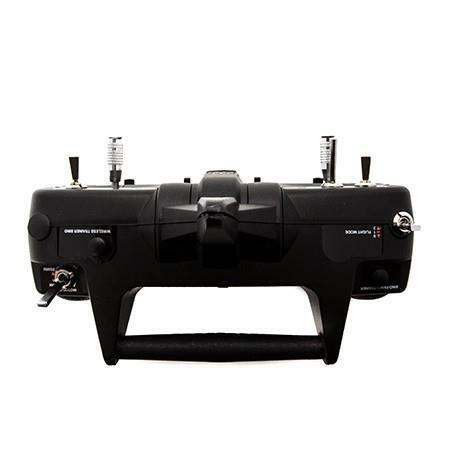 The Spektrum™ DXe combines the versatility of a programmable transmitter with the simplicity of a basic sport radio to give cost-conscious pilots a better choice when it comes to flying on a budget. 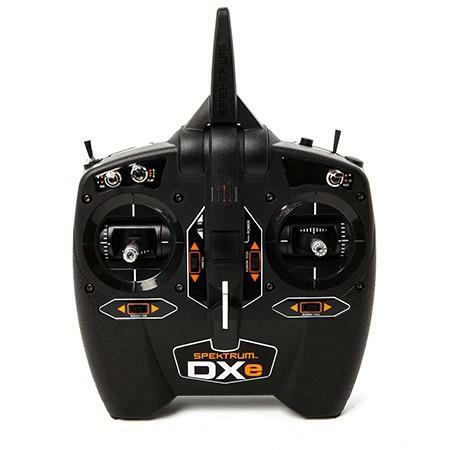 Instead of having to reconfigure a bank of servo-reversing and wing-type switches every time you want to fly a different model, the DXe lets you instantly change those settings using a mobile device or PC. Once saved to your PC or mobile device, you can upload the setup for a specific model to the DXe with a simple point and click. You can also use the interface to upload pre-programmed setups for Bind-N-Fly® aircraft. The Spektrum programming app is available at Google Play and iTunes app stores. The PC software can be downloaded from spektrumrc.com.